PRE Ventures Alice Lloyd George, Director of Entrepreneurship at Columbia University Dave Lerner and Interplay Ventures Managing Partner Mark Peter Davis weigh in on website creation company Pagevamp. Pagevamp founder Vincent Sanchez-Gomez gave his elevator pitch to Deirdre Bolton on FOX Business&apos; Risk and Reward Friday. Sanchez-Gomez made the case for his website development business and appeared before a panel of judges including RRE Ventures’ Alice Lloyd George, Columbia University’s Dave Lerner and Mark Peter Davis from Interplay Ventures. Sanchez-Gomez explained the inspiration behind starting Pagevamp, which helps small businesses create websites. "There was no solution out there that was truly easy enough for a person with very little technical knowledge to both create and update their own professional-looking website,” Sanchez-Gomez said. 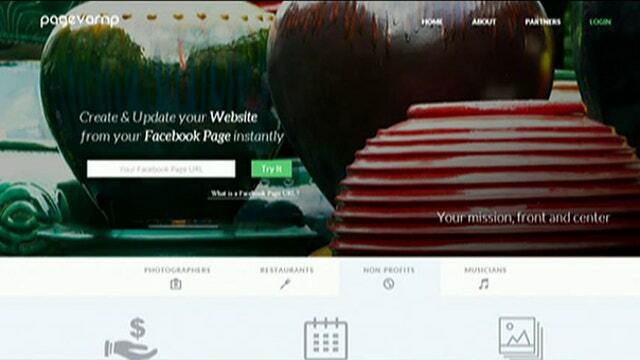 Pagevamp claims it can help business owners create their websites in seconds by linking with users&apos; Facebook (NASDAQ:FB) accounts. “Rather than force users to learn a complex content management system or WYSIWYG web building interface, Pagevamp allows small business owners and individuals to create and update their beautiful, mobile-optimized website straight from a platform they already know and use,” Sanchez-Gomez said. So far Pagevamp has raised $470,000 in funding but the company is looking to raise more in the coming months.